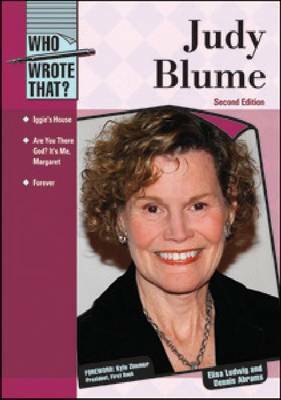 Judy Blume is one of America's most popular authors of books for teens and adults. Fans of her work may not be aware, however, that this successful author was a wife and a mother before she tested her writing abilities. Blume's perseverance eventually landed this keenly observant author a publishing contract. Readers have laughed at the adventures of Peter Hatcher and his brother, Fudge, in ""Blume's Tales of a Fourth Grade Nothing"", and preteen readers found the trials and tribulations of puberty eased by reading ""Are You There God? It's Me, Margaret"" or ""Then Again, Maybe I Won't"". Blume's characters convey how it truly feels to be a teenager facing doubts, fears, and anxiety about life. This new edition brings readers up to date on this active author.